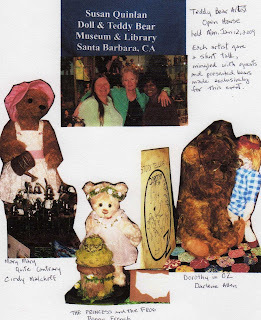 Cindy Malchoff, Penny French and I were lucky enough to be the guest artist at an open house for the Susan Quinlan Doll & Teddy Bear Museum & Library. We each gave a short talk for the collectors and presented for exhibit some pieces we made just for the museum. 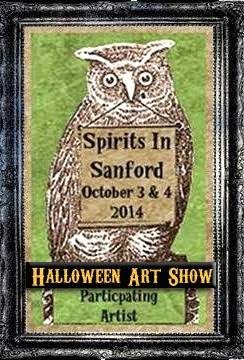 It was a nice casual atmosphere and we were able to talk with the guests on a one to one basis where it wasn't too crowded even though it was a good turn out. That was because they also were enjoying the museum. And if you are ever in Santa Barbara, make it one of your top destinations, you won't regret it!